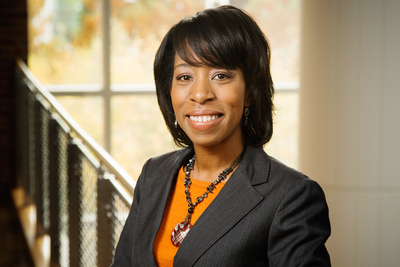 Eboni Zamani-Gallaher is the director of the Office of Community College Research and Leadership and associate head of the department of education policy, organization and leadership at the University of Illinois. Zamani-Gallaher spoke recently with News Bureau education editor Sharita Forrest about why so few students transfer from community colleges to selective colleges and universities. Are community college students not applying because of financial/personal considerations, because they can’t picture themselves on four-year campuses, or are admissions officers viewing these students as less capable or less committed than peers who begin their college careers at four-year institutions? There are negative perceptions at these selective institutions about community college students’ academic preparedness and the rigor of community colleges’ curricula, as well as elitist views of who merits admittance. Other barriers include the higher tuition costs, lack of academic advising and the potential loss of prior credits students have already earned if they transfer. For some, the main barrier to enrolling at an elite college is affordability. Access and affordability go hand in hand: If admitted, some community college transfer students are unable to cover the costs of attendance. To limit the amount of loan debt they’ll incur, they subsequently choose to attend less prestigious and less expensive four-year institutions. For others, there are personal considerations, such as proximity to family and a sense of belonging. All told, however, I believe that the primary reason transfer rates from community college to selective institutions are low is the lack of a transfer-receptive culture. Coined by scholar Dimpal Jain, the term “transfer-receptive culture” refers to four-year institutions’ commitment to ensuring that community college students can transfer successfully. This includes ensuring that students are taking the appropriate transferrable coursework, enabling them to navigate the application and enrollment processes, and providing supports so they persist to bachelor’s degree completion. More often than not, selective institutions are not intentional in promoting or bolstering transfers, particularly from community colleges, even though researchers from the Jack Kent Cooke Foundation found that community college students who transfer to elite colleges do well. In fact, these students graduate at rates that are equal to or higher than peers who enrolled at other four-year colleges immediately after high school graduation and later transferred to selective colleges. What types of programs are colleges and universities implementing to establish pathways that help community college alumni succeed on four-year campuses? In states that have tightly coupled transfer agreements, there are efforts to align the general education curricula – e.g., the high school and college curricula as well as between community colleges and four-year institutions – to address issues of college readiness and to reduce credit loss for students who attend multiple institutions. These initiatives help smooth students’ transition into and through college to degree completion. Other promising programs such as guided pathways programs and forms of accelerated pathways to college completion – including dual enrollment, early college, summer bridge programs, reverse transfer of credit programs – alongside student-support services contribute to transfer student retention and increase their chances of graduating.